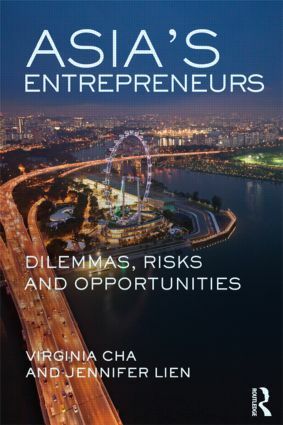 This book is a collection of technology startup cases in Asia, told in a narrative form, to give readers an insider view to how innovators and technopreneurs view entrepreneurial opportunities from use of technology, how the technopreneurs raise funding to support their vision, and the subsequent relationship of the technopreneurs and their investors. The book illustrates some of the cases using the theory of effectuation. The book is divided into four sections: Part One chronicles case studies of technopreneurs who raised capital but had difficulty with managing the investor expectations and relationship, to the detriment of the venture. Part Two chronicles case studies of technopreneurs who started their ventures without venture capital, with some who later raised capital at a much later stage, and were able to exit successfully. All case studies are of technology ventures in Asia from the mid-1990’s where venture capital and entrepreneur ecosystem were under-developed. Lessons learned from the various case studies are told from a practitioner’s perspective. Part Three describes the development of the venture ecosystem, specifically in Singapore, a city-state aspiring to follow the Silicon Valley model. The technopreneurs in Parts I and II play the roles of mentors/investors in the newly developing system. Part Four includes two new young technology ventures’ fund raising dilemmas, written in a teaching case format. The book can be used by practitioners and by educators for developing a deep understanding on the issues of raising capital for the purpose of growing the venture, and the trade-offs of capital from the different groups of investors and their financial terms. It is useful to young and mid-career professionals looking at starting a technology venture in Asia. Virginia Cha is the Chief of Research Practice at the Institute of Systems Science, National University of Singapore (NUS). She is an active researcher, educator, mentor, and angel investor in Singapore's entrepreneur ecosystem with 32 years of executive management in technology companies. Previous roles include founder and CEO of venture-funded, hi-tech companies in Singapore and China with successful exits on NASDAQ and HKSE. In addition, she is an active mentor and angel investor to early stage startups, with focus in technology ventures at INSEAD, NUS, and Singapore Management University. She is a member of the Global Agenda Council on Fostering Entrepreneurship 2012-2014, World Economic Forum. Jennifer Lien is a Research Assistant at the Institute of Systems Science at the National University of Singapore. She has previously held positions in private education and in municipal affairs, and is an active young researcher and community builder.